The Edmonton Oilers have had little success to celebrate since last reaching the playoffs and the Stanley Cup Finals in 2006. Failed season after failed season have come and passed with little signs of progress being made in the “City of Champions”, despite the numerous trades and signings completed throughout the last nine years. Further, the Oilers’ wealth of highly valuable draft picks have thus far failed to generate any sort of substantial return. However, the most recent wave of Oilers draft picks are nearly NHL ready, in particular Leon Draisaitl and Darnell Nurse who are projected to be impact players. 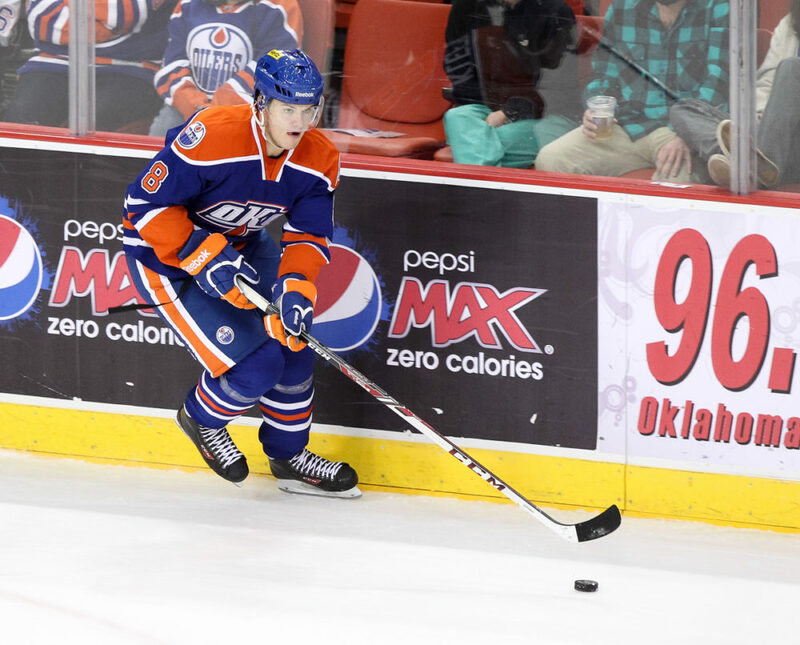 However, one draft pick, a player who has flown under the NHL radar for quite some time, is quietly making a massive impact in his first full season on the Oilers’ blue line. This player is none other than Oscar Klefbom, who has arguably been one of the Oilers best defensemen this season. Since most know little to nothing about this Edmonton star, let us quickly delve into just who Oscar Klefbom is. Klefbom is a native of Karlstad, Sweden and was a first round pick of the Oilers, 19th overall in the 2011 NHL Entry Draft, the same year in which the Oilers selected Ryan Nugent Hopkins first overall. 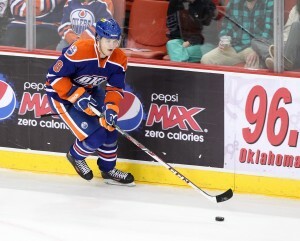 Prior to beginning his North American hockey career, Klefbom played three seasons with Farjestads BK Karlstad of the Swedish Hockey League. At the age of 21, Kelfbom stands an intimidating 6 foot 3 and 210 pounds and is good friends with Minnesota Wild star and blue liner Jonas Brodin from their time together with Farjestads. Oscar Kelfbom truly has been dependable for the Oilers this season, quickly blossoming into one of Edmonton’s most reliable defenders. Thus far through 39 games, Klefbom has recorded two goals and nine assists for a total of 11 points, while he has only taken two minor penalties. Although he does have a minus 14 rating, Klefbom’s play has been remarkable considering how much time he has spent on the ice at such a young age. This season, Klefbom has averaged 21:25 of ice time per game, an amount which ranks second highest on the Oilers behind Justin Schultz’ 22:05. However, Klefbom’s playing time has continued to increase as the season has gone on. In fact, Klefbom has averaged 25 minutes of ice time throughout his past five games, while he played a whopping 26:30 in each of the Oilers’ games against the Montreal Canadiens and the Boston Bruins, two games in which he also totalled a goal and two assists. Todd Nelson has shown a huge level of trust in his blue chip defender, playing Oscar in all situations and against other teams’ top forward lines. Kelfbom has received this playing time extremely well, responding with nothing but solid and consistent play in return. The future is beginning to look bright in Edmonton, especially so considering they may very well have finally developed a top pairing NHL defenseman. Based on Klefbom’s success thus far and the direction in which he and is play are trending, Klefbom should definitely be considered one of the Oilers’ major building blocks moving forward.